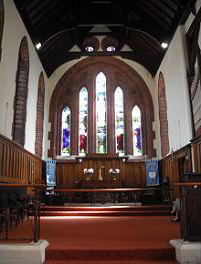 A Christian place of worship has stood in Newchapel since 1558 during the reign of Queen Elizabeth I. Since then a rich history has grown from the surrounding local community. Many local people attend our services, others come to visit loved ones in the graveyard and of course we are the permanent place of residence for James Brindley, the master lock builder of Stoke on Trent. Explore this rich history to find out more about the church building, its clergy roll, how to find a grave site and the great man himself James Brindley.